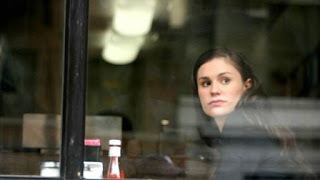 In Kenneth Lonergan’s play The Starry Messenger, Matthew Broderick’s character comments, “"Opera treats every human life as a tremendous event, a gigantic drama, something of monumental importance, which is why opera is ridiculous, and why it’s true.” And what better way to describe how Lisa, the protagonist of Lonergan’s Margaret, sees her life. Witness to, and partially the cause of, a woman’s accidental death by a bus, Lisa sees and experiences the world around her in a search for meaning. She is the protagonist of her world (and our’s by the fact the film follows her). Her self-awareness constantly rivals her naiveté, and as the strings and voices of Don Giovanni and the Tales of Hoffman echo throughout the score, we see Lisa attempt to navigate the land of 25 million, each with their own story. Yes, this is that film Margaret. The one I have written about on every occasion possible (and tweeted about much more). And finally, last night at a special screening in New York (and a DVD release today), Lonergan’s Margaret has arrived in a longer, alternate cut. Lonergan has not claimed this “Extended Edition” to be his director’s cut, instead advocating both cuts. I certainly agree, this new Margaret is richer and deeper, often much more avant-garde in its attempts to create and deconstruct the idea of a personal epic. But it’s also even messier than before, though much of it seems again the product of “not enough time” (It was explained before the screening that is was very much a work print cut that had not been mastered or finalized, but was as close as they were going to come). What separates Margaret’s new cut from previous new editions of films in the past is that this isn’t just a case of a film adding new scenes (though this cut does run a full 38 minutes longer). The experience and texture of the film has a new experience. Occasionally hinted in the film’s theatrical cut, Margaret now makes us completely aware that Lisa’s story is truly just one of many. Many more scenes in the film feature bits of overhead dialogue by passing characters, hinting at the stories the camera can’t follow. In the film’s most bravura added sequence, Lisa and Darren meet to discuss their relationship, but most of the sequence is drowned by two different conversations we hear. Lonergan starts from a long establishing shot and slowly zooms in, truly giving us the sense that there is a larger world around from us. It’s a bold and often brilliant choice in sound design, which acknowledges a larger world not just as an idea of world building, but as a direct challenge to the belief of its protagonist (though during the film's second half, these appear much less frequently, and I'm unsure again if this was Lonergan's choice to emphasize this element less, or simply a constraint of the work done on this edition). In a new scene between Lisa’s mother Joan and her lover Ramon, Lonergan begins the camera facing the street below before zooming out to reveal the two on a balcony, before pausing their conversation completely to show a wide pan of the city. What makes these two elements—the overhead conversations and the many shots of giving us the city as a breathing place—is that it finally establishes what the film’s relationship to opera and ultimately it’s beautiful final scene truly explore. Opera, as described by Lonergan, is a place where people finally stop listening to their own story and invest in the story of one in all its grand emotions. When Lisa and Joan sit down to watch The Tales of Hoffman, they break the tradition of silence, of giving yourself to the story on stage. A few added scenes and extended moments center this as a mother-daughter story (perhaps a double feature with Brave could be arranged? ), and in this moment, the two defy the possibility that we, the spectator, give ourselves up. Perhaps our story can be just as important, and I finally felt overcome with emotion in a way the time I saw the film before never happened. Other changes to Margaret are somewhat of a mixed bag I feel. An extended sequence in Lisa’s deflowering by a classmate (a still pitch perfect Kieran Culkin) never felt necessary. A somewhat brilliant post-theater chat in which the students confront each other has a strange moment between Darren and Lisa that I’m not exactly sure what to make with (consider when Darren’s final shot in the theatrical is that beautiful moment of him breaking down in tears—another story we’ll never truly be able to see). The best parts of Margaret—the accident, the classroom discussions, any scene with Jeannie Berlin as the best friend—remain intact, though some different beats are emphasized. In many ways, this is still a rough cut (so much that they did screen it from the DVD, as that was the only option). There’s much more use of opera music, but the choices in the score and often double scoring felt a little rough at times (though removing Nico Mulhay’s score from Lisa’s final breakdown on the phone gave that sequence an organic ending as opposed to the overbearingly obvious moment in the film’s theatrical cut). Great review, Peter! I look forward to seeing the theatrical version again and then seeing the extended cut. This might inspire me to try my own review.